For MY2017/18 wheat and barley production volumes are forecast to decrease, while corn and rye are expected to increase. Ukraine will remain an active grain exporter.The national economy stabilized and farmers are back on track, purchasing seeds and agrochemical inputs. Recent amendments to the Tax Code will likely decrease state support for agriculture. Ukrainian millers are actively seeking export markets for their products. Ukraine’s 2016 harvest resulted in an estimated 26 million metric tons (MMT) of wheat, 28.1 MMT of corn, 9.4 MMT of barley, and 392 thousand metric tons (MT) of rye according to data from the State Statistics Service of Ukraine (SSSU). This resulted in wheat production volumes remaining almost identical, which still makes it the second top-production year in a row. Corn production increased by over 20 percent closely matching 2014 levels; barley production increased by 14 percent making it a record-breaking crop, and rye production remained the same level as the 2015 crop. This data does not include information about crops harvested in the Crimean Peninsula. Crimea produced around 765 thousand MT of wheat, 446 thousand MT of barley and 5 thousand MT of corn in 2016. Production, Supply and Distribution (PSD) data for wheat, corn and barley have been adjusted, taking into account Crimean Peninsula estimates both in terms of area and volumes of production. Fall 2016 planting areas for winter crops totaled: winter wheat –6.1 million hectares (ha), barley – 881 thousand ha, and rye –169 thousand ha. Compared to fall 2015 wheat and rye areas both increased by 2.2 percent and 16.2 percent respectively, while barley area decreased by 10 percent. As of April 11, 2017 farmers have already planted spring crops including: wheat – 144 thousand ha, similar to the area planted for the same date of the previous year; barley – 1.4 million ha, a 4.7-percent increase; and corn at 89 thousand ha, a 60-percent decrease. Domestic consumption for various crops has distinct long-term trends. In the graph below, it is visible that wheat and rye are both mainly designated for food consumption. Corn and barley are predominantly consumed as animal feed. Over a third of corn is processed into starch and molasses by larger plants in Dnipropetrovsk and smaller processing facilities in Chernigov and Kyiv, as well as a small amount that ends up crushed into corn oil. Small volumes of wheat are designated for high-quality alcohol production and a small amount of barley is used for malting. Wheat production in marketing year (MY) 2017/18 is forecast at 23.9 MMT, a decrease of about 11 percent from the previous season based on decreased winter crop area compared to the previous season, which is not expected to be offset by spring plantings. Exports of wheat in the new season are anticipated to reach 12.9 MMT, a 19-percent decrease compared to the previous MY. Corn production in MY 2017/18 is forecast at 28.7 MMT, 2 percent above production volume of the previous season mainly due to a larger forecasted area of production. Corn exports are projected to reach 21.5 MMT, a 7-percent increase over the previous MY. Barley production in MY 2017/18 is forecast at 8.7 MMT, 12.5 percent below the production volume for the previous season. Barley exports in the new season are forecast at a level of 3.7 MMT, a 27.5-percent decrease compared to the previous MY. Rye production in MY 2017/18 is forecast at 425 thousand MT, an 8.5-percent increase compared to the previous MY. This will likely lead to equilibrium on the domestic market, which will result in no further imports of this crop and will allow an exportable amount set at 10 thousand MT. Ukraine continues developing closer economic ties with the European Union. 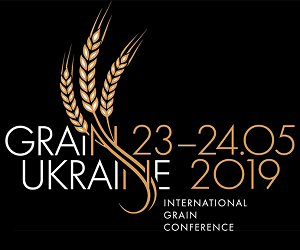 This translates into growth of exports both for grains and products of the milling industry, which have been supported by Tariff Rate Quotas offered to Ukraine under the Deep and Comprehensive Free Trade Area (DCFTA). This trend is expected to continue in the years to come. Since the beginning of 2016 the Ukrainian currency stabilized with a trend towards small levels of devaluation. This has made domestic prices more predictable and decreased transaction costs to farmers, input suppliers and traders. This manageable level of devaluation favors grain exports as well as allows farmers to stabilize their business models. That economic stabilization has translated into increased volumes of agrochemical and seed imports in 2016. However, the unstable economic situation in the country that began at the end of 2013 had an impact on crop structure. Over the last three years, farmers decreased total areas under grains, which provided lower profitability, while giving way for further growth of areas under oilseeds that normally offer higher profitability for farmers. Ukraine’s political and economic crisis that erupted at the end of 2013 led to a significant devaluation in the local currency (Hryvna – UAH) and a number of trade-related problems associated with the devaluation’s inflationary tail-end effect. The National Bank of Ukraine (NBU) for years sought monetary policies aimed at maintaining stable exchange rates. The target currency for this approach was the U.S. dollar, despite the fact that trade with the U.S. was not significant compared to trade with the Russian Federation before 2013, or the current trade with the EU. The policy of a fixed exchange rate translated into trade imbalances depleting the country’s foreign currency reserves, which led to periodic currency crises that outweigh the positive impact of a stable exchange rate. Significant political and economic shocks undermined UAH stability in 2014, resulting in an abrupt devaluation that is still continuing, although at moderate rate, into the beginning of 2017. Total currency devaluation in 2016 was on the level of 14 percent, which was much lower than it was in 2015. That devaluation stimulated exports out of the country. Although the Government of Ukraine is taking measures to stabilize the national currency, mild devaluation is still expected to occur in 2017. Moderate inflation of the national currency in 2016 had a favorable influence on business models for local farmers, as well as chemical and seed importers. The market has recovered from the shocks experienced in 2014-15 and farmers started again investing heavily into cash crops that can be sold on international markets for hard currency, including corn and oilseeds. They increased their spending on agrochemicals as well, which allow producers to boost productivity and mitigate impacts of unfavorable conditions. In MY2017/18 wheat production is forecast at a level of 23.9 MMT an 11-percent decrease from the previous MY. Post forecasts this number based on a 4-percent decrease that is expected in planted areas under winter crop, which makes up over 90 percent of total wheat area. In autumn, farmers were not actively planting this crop due to low levels of soil moisture that could have resulted high winterkill rates. Winterkill rates for wheat were low (at the level of 4-5 percent). This is likely the result of a rather short winter featuring high precipitation rates in the form of snow, as well as absence of prolonged frosts on the open ground that could have killed the plants. Snow melt in the spring resulted in replenishment of sufficient levels of soil moisture to resume rapid growth of winter crops in spring 2017. Domestic consumption of wheat is predominantly intended for food purposes and milled into flour. Flour production significantly decreased in MY 2014/15, due to reduced demand associated both with decreased incomes and loss of Ukraine’s control of the Crimean Peninsula and parts of the Lugansk and Donetsk regions. Flour production in Ukraine is not showing signs of growth in MY2016/17, and this is expected to extend into MY2017/18 pending no significant changes to domestic macroeconomic policy. Bread production has been decreasing in Ukraine over recent years in-line with the population decline and loss of control over parts of country’s territory. In addition, middle-income consumers are switching away from purchasing ‘social’ types of bread in favor of premium bakery products and home bread making. While large, mostly state-owned, bread making enterprises have been reducing production quantities, various private specialty bread producers have been opening small stores and supplying grocery stores in larger cities, catering to the changing tastes of consumers where the majority of income increases occurred. Bread production by small bakeries is not included in official statistics. As such, Post assesses that bread production patterns over the last three years were stable and similar to the pattern of flour production. Based on the assumptions mentioned above in MY 2017/18, there is no forecasted change for domestic consumption of wheat for milling and baking purposes compared to MY2016/17. It is expected that feed consumption for wheat will increase by 6.8 percent for MY 2017/18, which will be partially offset by decreased feed consumption for corn. Wheat exports in Ukraine in MY 2016/17 are estimated to reach 15.9 MMT, a 9-percent decrease compared to the previous MY. Wheat exports from Ukraine in MY 2017/18 are forecast to reach 12.9 MMT, around 19 percent lower compared to the previous MY. The decrease in exports for MY 2017/18 is based on expected lower production area and conservative yield forecasts. For MY2016/17 (July 2016 – January 2017), Ukraine exported over 12.7 MMT of wheat, nearly a 16-percent increase compared to the same period of the previous year. Out of this volume, over 2.5 MMT of wheat was shipped to India, which has become a new buyer for this marketing year. Another 4.6 MMT was shipped to East and Southeast Asia, including Bangladesh – 1.2 MMT, Thailand – 1.5MMT, South Korea – 1.1 MMT and Indonesia – 1.3 MMT. This shift came at the expense of trade with Africa, which decreased by 15 percent; while Middle East– decreased by 23 percent; and the EU – decreased by 53 percent. Loss of access to parts of the domestic market (Crimean Peninsula and certain regions of Eastern Ukraine) sent domestic millers in search for new export markets. In MY2016/17 (July 2016 – January 2017), Ukraine exported 242 thousand MT of wheat flour, almost 14 percent higher compared to the same period of the previous MY. The major factor was a boost in exports to a number of countries in Africa – 50.6 thousands MT, a 5-fold increase compared to the same period of the previous year, and the Middle East (mainly United Arab Emirates and Palestine) – 48 thousand MT, a near 50-percent increase. This could be the positive result of numerous trade missions sent by MAPF to promote exports of agricultural and food products. Also, substantial amounts of flour were directed to: China – 47 thousand MT; Israel – 19 thousand MT; and Panama – 9 thousand MT. According to the industry insiders these countries might be not final destinations and Ukrainian products are possibly re-exported further. 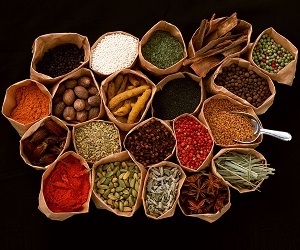 Sales have been made to traditional buyers: Moldova – almost 20 thousand MT; and North Korea – almost 26 thousand MT. Imports of wheat in Ukraine are virtually non-existent. For MY2016/17 (July 2016 – January 2017) imports totaled around 4.6 thousand MT. The country produces enough wheat to satisfy its domestic consumption needs. The only imports that do come in are typically either high protein wheat varieties for production of premium pasta products and seeds of some special wheat varieties for breeding purposes in Ukraine. At the beginning of MY2016/17, Ukraine’s wheat stocks were lower compared to the previous MY due to lower production volumes. An additional factor that prevented accumulation of stocks at the initial stage was priority of wheat shipments through the ports over corn and other grains. For MY2016/17, Post’s export volumes are around 8 percent lower compared to the USDA official numbers. Both for MY2015/16 and MY2016/17, Post’s feed and residual consumption volumes were 2 percent and 10 percent higher, respectively, compared to the USDA official numbers. The difference is based on stable animal numbers as well rebalance of feed consumption numbers between wheat and corn. For MY2016/17, Post’s FSI volumes are around 3 percent higher compared to the USDA official numbers based on stable food grain consumption and absence of significant changes in areas of production that would change the dynamics of seed consumption. In MY 2017/18, barley total consumption in Ukraine is forecast to remain at the level of 5 MMT, which is the same as the previous MY. Barley consumption in Ukraine is stable following the trend for stabilized volumes of production of this crop over the last few years. The feed demand comes from industrial poultry and pork production. These industries balance their feed ratios based on costs of grains and currently barley features the lowest price on the market. On these grounds, Post expects barley to remain one of the main ingredients of feed diets. The brewing industry generates demand for malting barley, which constitutes less than 10 percent of total barley production according to SSSU’s data. Barley exports in MY 2017/18 are forecast at a level of 3.7 MMT, which is 27.5 percent below the estimated 5.1 MMT for MY2016/17. This forecast is based on the assumption of stable production and consumption volumes for this crop on the domestic market in combination with decreased production numbers. For MY2016/17 (July 2016 – January 2017), Ukraine exported almost 4.5 MMT of barley, which is 13 percent above the same period of the previous year. Saudi Arabia remains the top buyer of Ukrainian barley for this period, purchasing almost 1.9 MMT – over 41 percent of total export quantities. This volume is 12 percent lower compared to the same period of the previous year and was compensated by growth of exports to: Libya – 819 thousand MT, a two-fold increase; Algeria –226 thousand MT, an 85 percent increase; Israel – 135 thousand MT, a 74 percent increase; and Jordan– 226 thousand MT, a four-fold increase. Total barley exports to the EU grew to almost 258 thousand MT for MY2016/17 (July 2016 – January 2017), a 34 percent increase compared to the same period of the previous MY, and were mostly supported by purchases from Greece, Italy, Spain, Poland, and Cyprus. Total barley exports to the EU grew to almost 258 thousand MT for MY2016/17 (July 2016 – January 2017), a 34 percent increase compared to the same period of the previous MY, and were mostly supported by purchases from Greece, Italy, Spain, Poland, and Cyprus. For MY2016/17, Post’s export volumes are estimated around 2 percent lower than USDA official numbers. Both for MY2015/16 and MY2016/17, Post’s feed and residual consumption volumes were 6 percent and 9 percent higher, respectively, compared to the USDA official numbers. This estimate is based on an abundance of this crop on the market, as well as its lower prices which make it an attractive ingredient in feed diets. Corn production in Ukraine in MY 2017/18 is forecast at 28.7 MMT, over 2 percent above the 28.1 MMT harvested in MY 2016/17. This forecast is based on area planted under this crop estimated at 4.7 million ha in 2017, as well as average yields for the last four years. Ukrainian farmers are actively adjusting their production technologies both to weather conditions and the market situation. In the fall of 2016, due to the high volumes of production for various crops, a limited number of producers chose to leave corn standing in the fields because they lacked storage capacity in autumn.Corn left in the winter does not significantly lose much of its quality. As an additional advantage, farmers can harvest lower moisture content corn compared to the corn harvested in the fall, resulting in lower costs for drying the crop. FAS staff have seen small volumes of corn still being harvested at the end of March 2017). Corn remains a popular crop for Ukrainian farmers as it makes a good fit into existing crop rotations while offering high yields at the expense of higher production costs compared to other grain crops. Farmers produce corn from hybrid seeds produced domestically, both by large multinational companies, as well as from domestic varieties. To date domestically bred corn varieties offer similar yields as international brands under “normal” weather conditions and their cost is significantly lower. The mentioned downside is that their productivity drops significantly under adverse weather conditions compared to imported hybrids. Another factor that shows a favorable for corn production in Ukraine is that farmers started to increase spending on quality seeds and agrochemicals, which is already seen in import data. This results in more stable corn yields under unfavorable weather conditions. Major corn planting in Ukraine usually starts in April. This year is not an exception thanks to the high precipitation rates during the winter. The weather is always a risk factor in agriculture and according to NDVI maps, there is a visible lack of soil moisture in certain regions of Southern and Central Ukraine, which might cause low corn yields. Under a scenario of low precipitation rates in late April – early May 2017, Post will revise estimated yields for MY2017/18 for all grain crops. Almost two thirds of corn is used for feed purposes. The trends on Compound Feed Production are highly correlated to feed demand stemming from large industrial producers for products of animal origin (poultry, swine and cattle). In accordance with the SSSU data for 2016, pig numbers decreased by 5.5 percent; poultry by 1.1 percent; and cattle by 1.8 percent. This trend continued into the beginning of 2017 as well. Pig numbers decreased by 7.5 percent, with cattle down by 1.1 percent, while poultry numbers increased by 2.4 percent for January-March 2017 compared to the same period of previous year. These numbers were used as the rationale by Post for the estimated 4.8 percent decrease in corn feed consumption for MY2017/18 compared to the MY2016/17 estimate. However, it should be noted that this decrease is partially offset by an increase of feed consumption of wheat. In the MY 2017/18 season, corn exports are forecast at 21.5 MMT, which is 7 percent higher compared to the MY 2016/17 estimate totaling 20.1 MMT. The Ukraine domestic corn price for the most part of MY2015/16, as well as the beginning of MY2016/17, fluctuated around 155 USD/MT, in-line with international prices. Due to the abundance of corn on the market in combination with good yields for other grains, corn FOB prices slightly dropped at the end of MY2015/16 as logistical system were overwhelmed with inflow of grains and oilseeds. For the beginning of MY2016/17 (October 2016 – January 2017) Ukraine shipped around 8.6 MMT of corn, 18 percent above of the same period of the previous MY. Out of this amount, 3.2 MMT was delivered to the EU, representing a 37-percent decrease compared to the same period of the previous MY, mainly though ports of Spain, Netherlands and Italy (please refer to statistical table at the end of this report for more details). This decrease has been offset by growth of exports to a number of countries in Africa (mainly to Egypt) at around 2.5 MMT, a 62-percent increase, and to the Middle East totaling almost 2 MMT, a three-fold increase over the same period of the previous MY. Growth in corn production volumes in Ukraine is stimulating major seed producers to transfer hybrid seed production to Ukraine, which translates into a gradual decline of corn seed imports. Ukraine predominantly imported quality hybrid corn seeds from Hungary, Romania, France and Serbia, as well as other countries in MY2015/16. That trend continued at the beginning MY2016/17. Delayed corn harvest in 2016, as well as an abundance of other grains and oilseeds on the market, resulted in a slower rate of stocks depletion compared to the previous year. However, due to increasing domestic corn prices and active exports, stocks are expected to reach normal levels by the end of MY2016/17. Both for MY2015/16 and MY2016/17, Post’s feed and residual consumption volumes are 13 percent and 11 percent lower, respectively, compared to the USDA official numbers. This estimate is based on continued decrease of animal numbers as well as rebalance of total feed consumption between wheat and corn. For MY2016/17, Post’s export volumes are 7 percent higher compared to the USDA official number. In MY 2017/18, rye production in Ukraine is forecast to grow to 425 thousand MT, an 8 percent increase compared to the previous MY, stemming from increased planted area under this crop in fall 2016. This crop is not very popular among farmers as it features lower yields compared to wheat, while production costs and market prices are comparable for both of these crops. Rye is one of the minor cereal grains that Ukraine produces to cater to the traditional diet preferences of domestic consumers. Bread made with rye or a mixture of rye and wheat flour is a staple food in the country. The projected level of rye production is sufficient to satisfy domestic demand. Consumption of rye in MY 2017/18 is forecast to remain at similar levels of the previous MY, but lower than MY 2015/16. However this is lower than in previous years because of lower consumption for bread-making which follows the general trend of a decreasing population as well as shifting preference of bread types by consumers. Post believes that feed consumption of this crop will remain negligible both for MY2015/16 and MY2017/18 due to low volumes of production combined with abundance of other feed grains on the market. Exports of rye in MY 2017/18 are forecast at the level of 10 thousand MT; a two-fold increase compared to the previous MY due to a projected growth in production. For the beginning of MY2016/17 (July 2016 – January 2017), rye exports reached 329 MT, which is a new minimum compared to the 13 thousand MT exported in the same period of the previous MY. During this period, rye was bought by Belarus, Poland and Austria. For the beginning of MY2016/17 (July 2016 – January 2017), Ukraine imported 1.3 thousand MT of rye, which is a clear indication of a deficit for this crop on the domestic market that would likely prevent its use for feed. In MY2016/17, initial stocks of rye were lower compared to the previous MY. This decrease was in-line with production volumes, and stocks decreased at a pace typical to the previous years. For MY2015/16 and MY2016/17, Post’s export volumes are estimated, respectively, at 5 percent lower and 2 times lower compared to USDA official numbers, based on shortage of the crop on the market. For MY2015/16 and MY2016/17, Post’s feed and residual consumption volumes are set at, respectively, 10 times lower and 5 times lower, compared to USDA official numbers based on an abundance of other feed crops on the market. For MY2015/16 and MY2016/17, Post’s FSI volumes are estimated at 5 percent and 11 percent higher, respectively, compared to USDA official numbers. That difference is based on relatively stable consumption of this crop for baking purposes. The Minister of Agricultural Policy and Food of Ukraine and representatives of non-governmental organizations signed a non-binding Memorandum of Understanding (MoU) on grain exports for MY 2016/17. This is the fifth year that a MoU has been signed. Since the beginning of 2017, the New Tax Code came into force, removing farmers’ ability to accumulate the difference between VAT payable and VAT receivable on their accounts, which is estimated between 15-25 billion UAH (approx. 0.6-1 billion USD) per year. These funds will be substituted by an automatic monthly subsidy, disbursed proportionally based on VAT payable to the budget amounting to 4.8 billion UAH (approx. 180 million USD) to all agricultural producers for 2017. Black Sea ports in Ukraine serve as the main exit gate for exports of agricultural products out of Ukraine. Grains and oilseeds are delivered to them using trucks for short distances (usually 250 kilometers) covering most part of the Southern regions of Ukraine and railroad – for the rest of Ukrainian regions. Currently a number of companies are developing grain logistics using barges on the Dnieper river, which serve as a cost efficient alternative to the rail system. In MY 2015/16, about 45.7 MMT of grains and oilseeds and products were shipped from Ukrainian ports in the Black Sea and Azov Sea with grains alone totaling 42 MMT. The largest share of all grain exports was executed through the port of Mykolaiv, reaching about 29 percent or around 12 MMT, followed by the port of Odessa (23 percent), and ports Yuzhny (22 percent), Ilyichivsk (17 percent), and Kherson (5 percent). The ports of Mariupol and Berdyansk are located in the Azov Sea and accept only smaller size grain and oilseed carrying vessels (up to 5,000 MT) due to sea floor depth limitations. Their share of exports is expected to remain low. In MY 2016/17 (July 2016 – March 2016), Ukrainian ports shipped over 46 MMT of grains and oilseeds and products , 35.8 MMT of which was grains. The leader in shipment of grains is the port of Mykolaiv with a 27 percent share, closely followed by Yuzhny, Chornomorsk (former Ilyichivsk) and Odessa (each with around 20-21 percent share). High volumes of grains and oilseeds for MY2016/17 opened an opportunity for a number of smaller ports to get their share of grain transshipment. It is expected that grain and oilseed transshipment capacity of the major ports in the Black Sea will increase in the next few years as many national and international companies are investing considerable resources in the construction of loading terminals and in-port crush facilities.